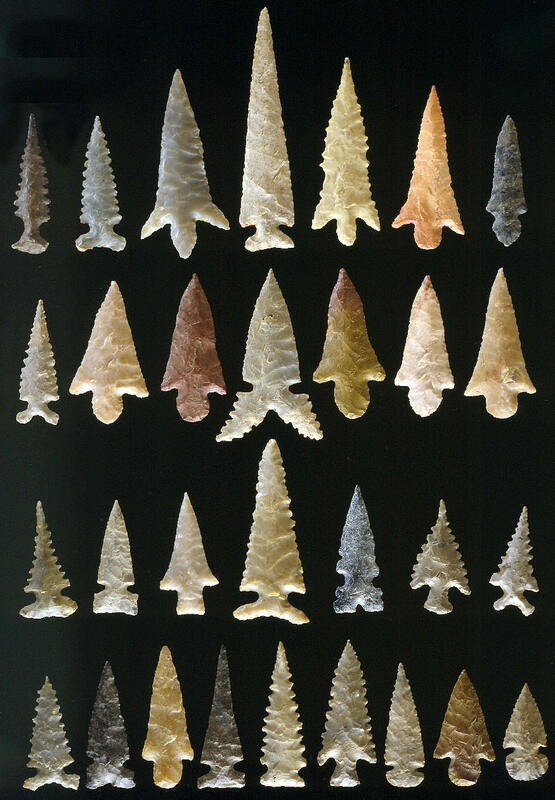 These 30 arrow points were excavated from Craig Mound on the Spiro Mounds site in the early 1930's by the Pocola mining Company. Several different types are represented here including the rarest which is the Tribute point of which there are only about 21 known examples, located on the second row in the center. Other points in this picture include Alba, Hayes, Reed, Sequoyah, Huffaker and Haskell. An estimated 5,000 arrow points were found in CraigMound. In one cache alone 3,000 were found and sold together as a group to one dealer.